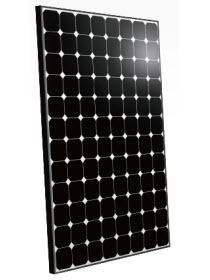 The 327Wp BenQ SunForte mono-crystalline photovoltaic series comes with a robust and attractive design combined with the highest efficiency. The BenQ panel is the highest rated panel available from Segen at 20.1% efficiency. The leading manufacturer uses back contact cells, ensuring that this panel is not only aesthetically pleasing, but also performs with greater light absorption by taking advantage of the greater cell space.